Thaicom has approached the Thai state agency, CAT Telecom, to establish a 70:30 joint venture to develop the planned Thaicom 9 broadband satellite to serve the bandwidth demand of state agencies. The joint venture plan is part in the company’s multi-pronged proposal submitted to the Ministry of the Digital Economy and Society recently for the ministry’s consideration as part of the ministry’s plan to reform the satellite service industry. The ministry will submit Thaicom’s proposal to the National Space Affairs Committee for its consideration this month. The state agency’s president, Colonel Sanpachai Huvanandana, said that CAT was already in talks with Thaicom on the possible joint venture deal but the partnership being formed depended on the space committee. A ministry source said that Thaicom proposed to own 70 per cent of the joint venture, while CAT would own the rest. A CAT source said that CAT had a plan to earmark a budget of Bt5 billion for developing the Thaicom 9 project and its own future satellites so they would be its new revenue source. 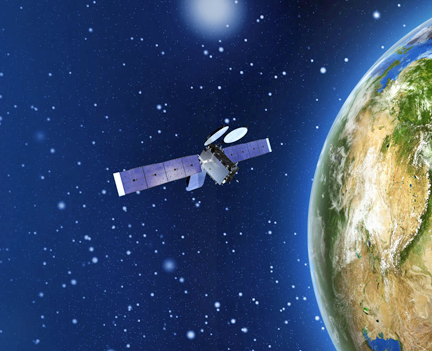 The Thaicom project would pave the way for CAT to enter the satellite service business and the project would be expected to generate annual revenue of Bt1 billion for the state agency, the CAT source added. CAT would use 30 per cent of Thaicom 9’s capacity to serve state agencies. If the 30 per cent capacity were not fully used by state agencies, CAT would allocate the rest to the business sector. The ministry hired the Thammasat University Research and Consultancy Institute (TU-RAC) to conduct a feasibility study for the government to develop the state-owned communications satellite. The study found that in 2016 the state agencies used 6-1/2 satellite transponders and data transmissions of two gigabits per second, with a total lease fee of Bt1.76 billion per year. In 2021, it will rise to 14 transponders and four Gbps, with a lease fee of Bt4.296 billion. Thaicom asked for the ministry to consider seeking an orbital slot of 119.5 East for Thaicom 9, but the ministry has not looked at the request. The other points in the Thaicom proposal to the ministry are that it would allow the government to use one transponder from each of its existing licensed satellites, Thaicom 7 and 8, and also its future licensed satellites free of charge for the rest of their life spans. It also proposed that for Thaicom 4 (IPSTAR) and the Thaicom 5 and 6 satellites, which operate under the ministry’s concession, it would continue paying the annual concession fee from the end of the concession in 2021 until the end of their life spans. The annual concession fee it offers to pay in this case is the same as it will pay to the ministry from this year until the end of the concession in 2021, which is 22.5 per cent of its gross revenue. The concessions for the Thaicom 4 and 5 satellites will end at the same time in 2021, while in theory their life spans will run to 2021 or later. The concession for Thaicom 6 expires in 2021 but its life span will continue for eight years after that. The ministry hired Chula Unisearch to study how to reform the satellite service industry. The study advised the ministry to bring Thaicom’s two licensed satellites – Thaicom 7 and 8 – back under the ministry’s concession regime. Both satellites will be under a concession until it expires in 2021. The ministry will submit this study to the space committee for its consideration along with the Thaicom proposal.